A pair of blue enamelled gold bracelets inlaid with diamonds in a quatrefoil pattern, and bordered with pearls held in place by silver wire. 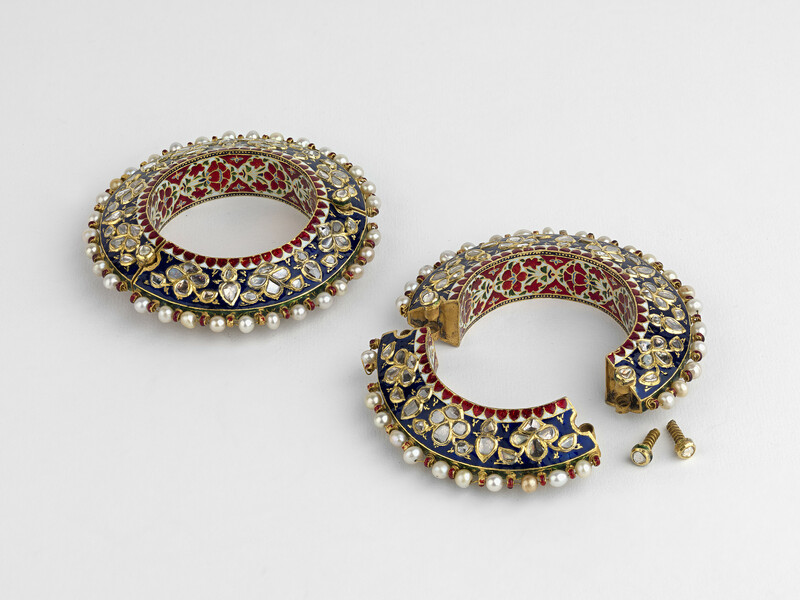 The inner rim of the bracelet is enamelled with floral patterns in red, white, green and blue. A section of the bracelet is held in place by two diamond top screws and can be unfastened to put the bracelet on.